Virwani and his team are scheduled to meet WeWork and its co-founder Adam Neumann in the third week of this month to discuss a potential $1-billion deal. India’s burgeoning shared workspace market has attracted more than 300 players, with varied iterations of the business model, which rests on the basic premise of subletting long-term leases into shorter tenancies. 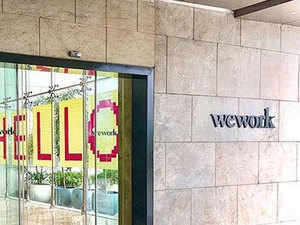 BENGALURU: New York-headquartered shared workspace provider WeWork is holding talks to own at least 51% stake in its Indian operations, which is currently managed by billionaire property developer Jitu Virwani of Embassy Group through a licensing deal, people directly aware of the matter said. Virwani and his team are scheduled to meet WeWork and its co-founder Adam Neumann in the third week of this month to discuss a potential $1-billion deal, they added. WeWork wants to take back control well before the licensing deal ends in 2021 after India emerged as one of the fastest developing markets. But international news reports on Tuesday said that We-Work’s main shareholder Soft-Bank was shrinking a massive $16-billion fresh commitment to just $2 billion. This could affect the buy back discussions, sources cautioned. The quantum of the share sale in the Indian business would depend on the valuation and is not pre-determined, one of the sources cited earlier said. SoftBank has invested $10 billion so far and WeWork still has about $7 billion in cash, according to global media reports. When contacted, Embassy declined to comment. An emailed query to WeWork remained unanswered at the time of going to press. If WeWork India meets the year-end target of having 90,000 desks, up from the current 35,000, it could be valued at up to $2 billion, said a source citing recent deal multiples in the sector. The big caveat: Marquee and disruptive digital startups like We-Work have seen valuations come under stress following a recent US stock market rout. Prolific fund-raising by WeWork — leveraging digital and aesthetics to build workspaces enhancing productivity, innovation and networking — has valued We-Work at $45 billion, boosting the numbers for collaborative workspaces worldwide. However, the softening investor sentiments could drag valuation of WeWork India. If WeWork India hits the 90,000-desk target, with monthly rentals of Rs 15,000-18,000 for each, it could be looking at gross revenue of around Rs 1,500 crore this calendar. Some of the recent investment deals in the sector has happened at 8-15 times gross billings, sources said. “WeWork’s exponential growth across three major cities in the last 18 months has proven that they are still scratching the surface. There are only a few quality players like Cowrks and Awfis who can really give them any competition. It is less crowded on the top,” JLL India executive managing director Juggy Marwaha said.